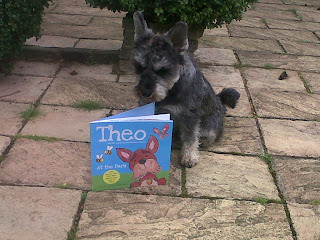 Dogs Trust: BOOK REVIEW: THEO at the Park - with added Smellessence! BOOK REVIEW: THEO at the Park - with added Smellessence! We enjoy our books at Dogs Trust, and we've been known to share them with a four-legged friend before, but this time I had a different 'tester' for a book we were sent: my toddler! THEO at the Park is a brand new book from Autumn Publishing, aimed at children and with a clever twist - specially scented pages. The story - inspired by the real dog of the same name pictured above - is about a friendly chap who wakes up one day to find he can't smell anything, so he goes on a hunt to find his sense of smell (happily, the real Theo is in full possession of his). We were sent a copy of THEO because, thanks to Autumn's generosity, Dogs Trust receives a donation for every copy of the book sold. There are three smelly pages, and, thankfully for the reader, they don't include the usual doggy favourites of 'random puddle', 'fox poo' and 'discarded sandwich'. Instead you get to breathe in the aromas of honey, roses and strawberry ice cream - phew! My daughter, who is just over two and an avid book fan, quickly took to THEO. She enjoyed sniffing at the pages, though she wanted to smell all of them (which still kind of works, as the scents are strong enough to permeate several pages). She liked the colourful illustrations, pointing out all of THEO's toys; she seemed particularly tickled by the fact that he had a teddy bear. The rest of the afternoon was punctuated by requests to read THEO again, and that's definitely a compliment; while she adores her books, it can take her time to warm to a new one, so the novelty of the scented pages was definitely a plus in getting her to engage with the story. THEO's recommended audience is 3+. The usual price is £6.99, but for this week only Autumn Publishing are offering copies at £4.99 INCL P&P if you use the code 'DogsTrust' at the checkout. 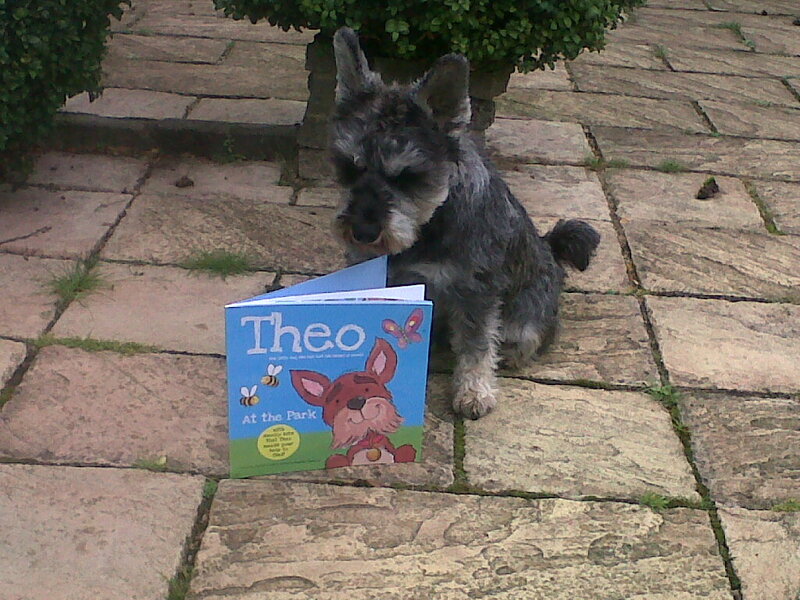 10p goes to Dogs Trust for every copy of THEO at the Park sold.